When I was a kid, racing home as fast as I could to watch the latest episode of Dragon Ball Z was a daily routine, and though that excitement for the series has worn off, my nostalgia for these characters and story is alive nonetheless. Dragon Ball Z: Extreme Butoden serves as a sort of almanac for the series, guiding players through the long story of Goku, Gohan, and company throughout a variety of modes. The core of the gameplay is a sprite-based fighter akin to the recent Persona 4: Arena title with an almost identical, albiet simpler, tag-team mechanic at the forefront of the experience. 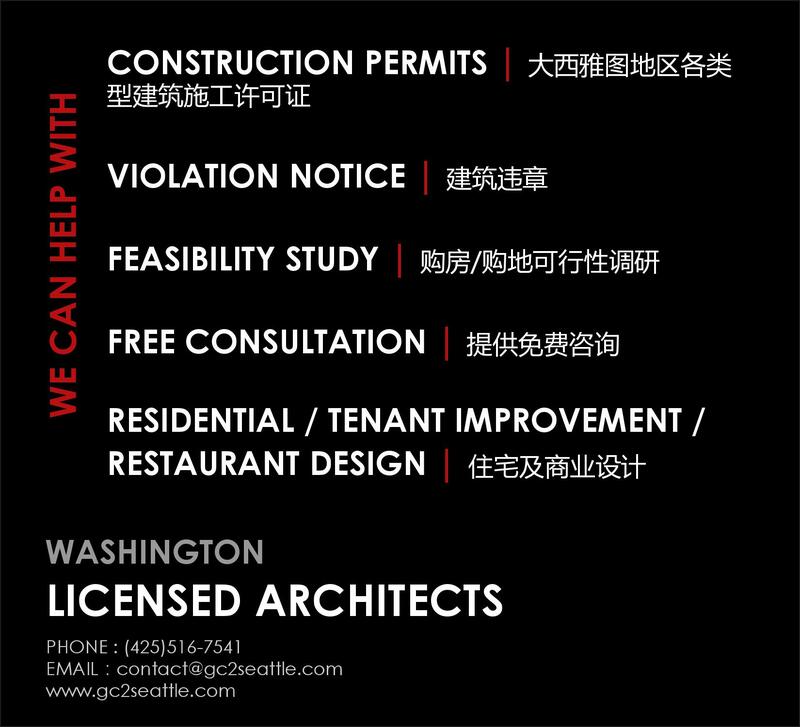 The graphics during gameplay is pleasing, as the sprites are experty crafted and detailed, while the animations are well-designed and animated. This presentation exists as the best part of Extreme Butoden, a beautifully crafted experience marred by unfortunately simplified gameplay and a lack of depth. Butoden’s recap of the Dragon Ball Z story is too brief and insubstantial compared to the venerable series. At first, the player is introduced to the game’s mechanics through Story Mode, an abridged version of Dragon Ball Z’s long chronology, which oftentimes feels a tad rushed. Anyone who’s watched the series knows that even brief encounters can drag out over several episodes, and confining the entirety of the Dragon Ball Z saga into the time of a normal episode makes the mode feel too brief and insubstantial. Players who haven’t watched the anime will likely gloss over the nonsensical dialogue in lieu of moving onto the next fight. Fortunately, the developers have included several bonus chapters that detail the story’s events through the perspective of alternate characters, such as Cell and Freeza. 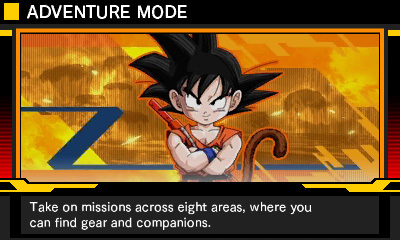 Adventure Mode takes you through the Dragon Ball story in a series of chapters, from Raditz all the way through the new Super Dragon Ball movies. 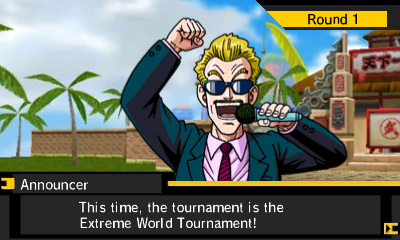 Once the player has completed a sizeable number of these chapters, the game opens up with the addition of an Adventure Mode complete with a brand new story revolving around a space-time conundrum that causes all of the baddies from Dragon Ball through the two new movies to come back to life and terroriz civilization. Basically, this allows the developers to get away with some wacky situations, providing structure to some of Dragon Ball fan’s wildest “what if’s?”. I actually appreciated this mode due to the fact that it provided some structure to fights that I would’ve set up on my own, despite the silly story, but that didn’t hold my attention for long. Each character in Dragon Ball Z: Extreme Butoden feels identical to one another, but the presentation is unique to each fighters inherent abilities. The actual gameplay is marred by an unusual flaw: despite the actions looking different for each of the 25 playable characters, the controls are nearly identical for each fighter. 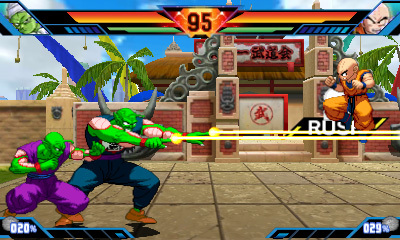 Dragon Ball Z: Extreme Butoden lacks even a small degree of complexity found in fighting games. Each action and special ability is executed using the same buttons and combinations, a boring concept that prevented me from really digging into the title for an extended period of time. I’m not a big fighting game fan to begin with in the sense that I won’t pick up a new fighting game, learn all of the moves for every character, test my mettle online, or enter into public tournaments, but I appreciate learning something more complex than Up+Button to execute one of only a couple special moves. It’s as if the gameplay is geared for a younger generation while the game’s appeal is limited to longtime fans. There’s just not enough to dig into to justify a purchase, especially given the limited Story Mode and silly Adventure Mode. I don’t necessarily dislike Dragon Ball Z: Extreme Butoden, but I do find the experience to be a huge letdown, especially following the success of Xenoverse, released earlier this year to critical acclaim. If you’re hankering for some Dragon Ball nostalgia, I’d definitely recommend giving that title a spin because Butoden just isn’t worth your time or money and won’t keep you interested long enough to justify the cost of entry. Don’t forget to follow us on Twitter for the latest news, updates, previews, reviews, and all other exciting gaming content!